Twitter is Changing the Way We Talk About TV, But Is It Also Changing the Way TV Is Made? 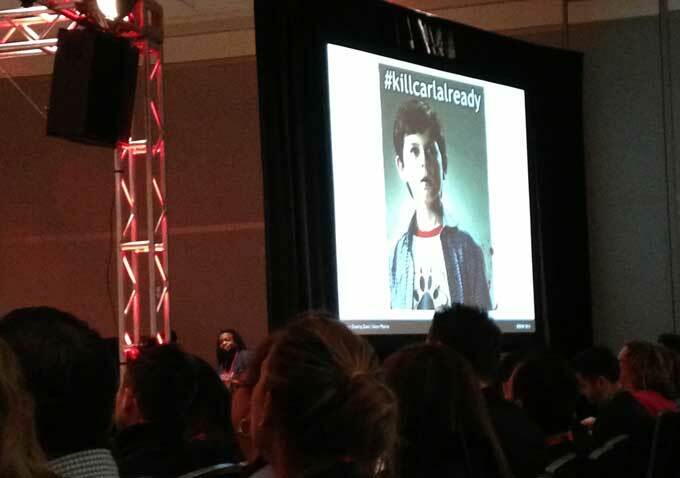 With apologies to Yakov Smirnoff, at SXSW, TV watches you. 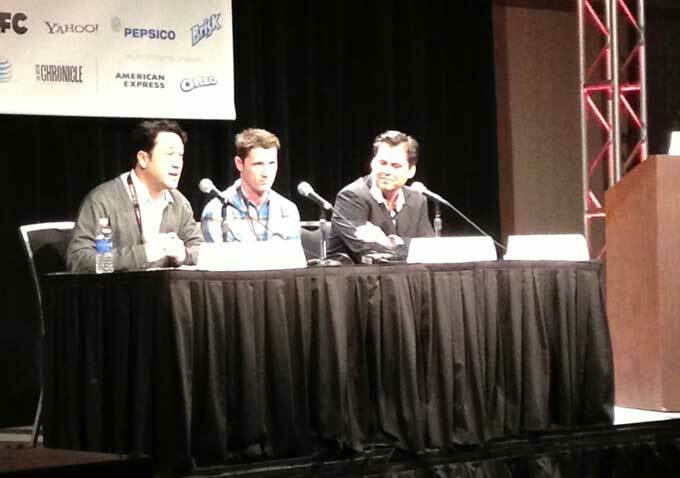 The first Saturday at the Austin-based conference started with two panels about how the people who make and promote television monitor and interact with their viewers via Twitter and other social media outlets. Twitter is “the new watercooler,” observed panelist Peter Lenkov, the executive producer/showrunner of CBS’ “Hawaii Five-0,” except that it’s public and easily accessible. It provides instant feedback, for better or worse, on an episode as it happens, and offers up a sense of how many people are tuning in and are engaged enough to want to talk about it online. The desire to participate in the Twitter conversation taking place as an episode airs (or at least not be spoiled by falling behind) is, for the speakers on both panels, one of the major things driving audiences back to live TV. First up was Jenn Deering Davis, whose panel “How Twitter Has Changed How We Watch TV” was essentially a look at what her company Union Metrics’ analytics tools have taught her about television viewing as reflected in the social media platform. The vast majority — 76% — of people tweeting about TV, she reported, do so while watching something live. And in an age of DVRs and Hulu, what’s most often still watched live is “anything with an unexpected outcome,” including sports, award shows and “anything juicy with cliffhangers where there might be spoilers,” like “The Walking Dead” or “Pretty Little Liars.” The latter show, a twist-heavy ABC Family drama about a clique of popular teenage girls being harassed by a mysterious figure who seems to know each members darkest secrets, has been a huge hit on Twitter, averaging 13,000 tweets per minute when it airs, a fact that the show’s promoter encourage by playing along via their official Twitter account. The Superbowl, the Grammys, the Golden Globes — live events create huge spikes of engagement on Twitter, as do special events like the season finale of “30 Rock.” But something like “House of Cards” offers a new model to be figured out — what does an online conversation about a show look like when it’s not rolling out week-to-week? 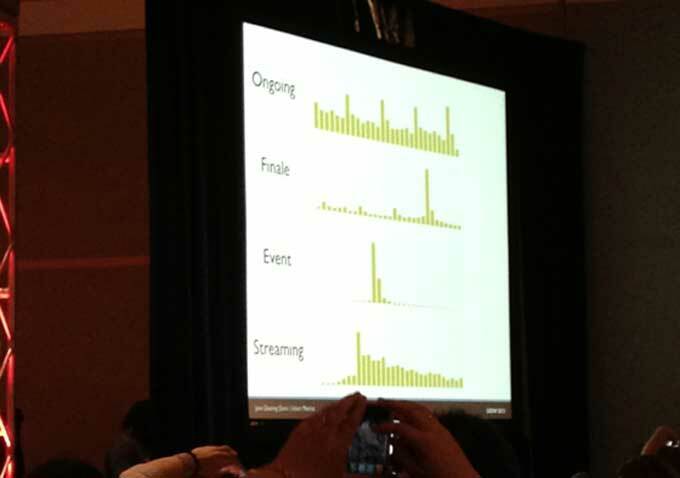 Deering Davis offered a chart looking at how Twitter activity about the show spiked when it first went online on February, then continued while slowly declining over the month, as opposed to the weekly highs of a show receiving a more traditional release. Twitter also uniquely offers a way for audiences to officially or unofficially interact with characters in the show, like @KriegerSignals and @pamsgossiptrain on “Archer.” “Having access to Twitter accounts of characters is an incredibly way of enabling those parasocial relationships,” noted Deering Davis. “I don’t know if this is good or bad, but it’s fun.” And it offers a way for fan communities to have their voices heard by the creators of the shows they love, though that can be a mixed blessing. The morning’s second panel (one that was surprisingly sparsely attended) brought the aforementioned Lenkov together with “Awake” and “Lone Star” creator Kyle Killen to discuss how useful keeping up with Twitter feedback can be to a showrunner and how much it can influence a show. For Lenkov, online fan response actually dictated the outcome of an episode. The 13th episode of the currently season, which aired in January, offered viewers a chance to determine which of three suspects was responsible for a crime. People weighed in via hashtag, with the East and West Coast actually getting different endings based on their responses. While both Lenkov and Killen took advantage of the direct response from audiences that Twitter provides — “It’s like a focus group, you’re behind the two-way mirror,” Killen put it — they didn’t seem concerned about fans ending up driving a show. For one, by the time an episode airs, production is usually already several episodes past that, so immediate changes are impossible. Lenkov said that fans tend to take credit for changes that a show’s producers and writers had already implemented themselves, while Killen allowed that he could imagine a scenario in which he might respond to viewer feedback if “people are so not getting out of it what you intend that it becomes self-destructive.” He added that as a viewer, he wouldn’t want the power to alter a show — that the series he loves are ones he wants to enjoy rather than participate in. That’s probably more easily said when you actually get to run shows of your own. But while second screen viewing and Twitter have become a reality during series and one that’s been embraced by networks (a fight that’s been creeping into the world of film, as movie theaters struggle over whether to allow texting during screenings and some studios have actually encouraged it). Killen spoke, perhaps wistfully, of wanting to preserve the TV viewing experience. The best TV, he said, should be able to hold your attention all by itself. “It’s not TV to fold laundry to,” he said.